the backyard into a seemingly natural extension of Mt. Sanitas. Tucked away inside this rocky mountain landscape are private hideaways, a hot tub/spa, dining area, grill and firepit, artist studio, bar, and viewing areas to enjoy the great surround. What does it take to build a mountain? 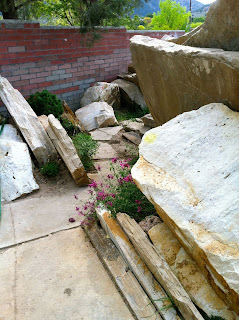 Massive boulders and slabs were carefully placed to create layers of rock seemingly exposed by time. A spring bubbles up close to the house. 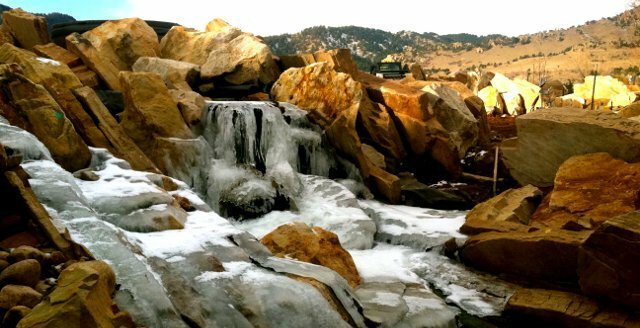 The water flows through channels worn into the stone... As it passes the hot tub, it opens into a waterfall that cascades down the mountainside. The soothing sounds can be heard throughout the property. Paths cut between the boulders, connecting different areas with switchbacks and stone stairways. Each reveals its own dramatic sightline. The sense of scale here is extraordinary, as if one walked amidst a high mountain sanctuary. Everywhere garden beds await their spring planting. We've created the foundations of an ecosystem that will mature with the seasons, with guided plantings and minimal care. Like any natural environment, this stonescape reveals a different beauty with each season. Check back for more updates and photos. 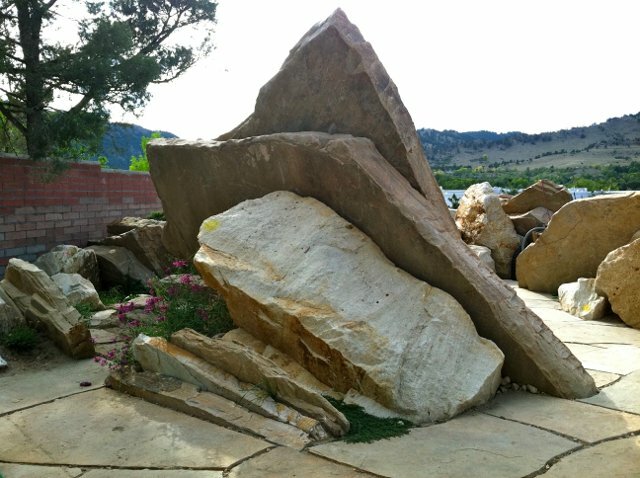 This project will be featured in Boulder Home and Garden magazine in 2013.